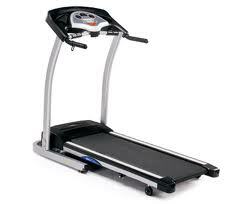 The Tempo T921 treadmill has Fold-Up Deck feature, you could store it easier and quicker. With the new Large Workout Area 41 x 122 cm (16" x 48"), you will have plenty of room for exercise. 3 Large LED Displays, 4 preset programs and hand grip pusle Heart Rate Reading provide all your needs. Running Area: 122 x 46 cm / 48" x 18"
Folded dimensions LxWxH: 89 x 70 x 148 cm / 35" x 28" x 58"
Product weight: 45 kg / 99 lbs. Max user weight: 113 kg / 250 lbs. The latest cost of Tempo T921 Treadmill will be updated soon. *Note: Most of the sites, stores or shopping portals listed above sell Tempo T921 Treadmill with discounts and other exciting offers. There is a possibility that the some of above websites are not selling Tempo T921 Treadmill now. Toughtrain.com is not liable for such cases or instances. Also we do not recommend any seller for Tempo T921 Treadmill and a buyer should buy from where he/she gets best deal with quality of products, service and on time delivery (shipment). Best for only those who are looking a general workout. Lost its glory only after the 1st week as it started to heat up on continuous 2 hours workout. So think well before buying, don’t go the money only.